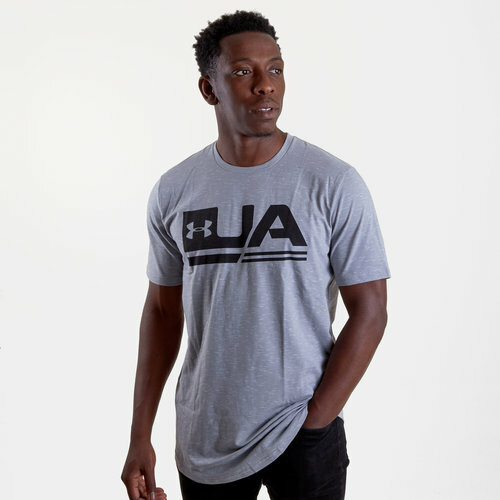 Train in comfort and allow your body to breathe in this Under Armour UA Sportstyle S/S Training T-Shirt in Steel and Black. This t-shirt has been crafted with a ribbed crew neck and short sleeves. It has heatgear technology incorporated into the design which pulls sweat away from the skin to keep the wearer cool and dry. It comes in a fuller cut for complete comfort. 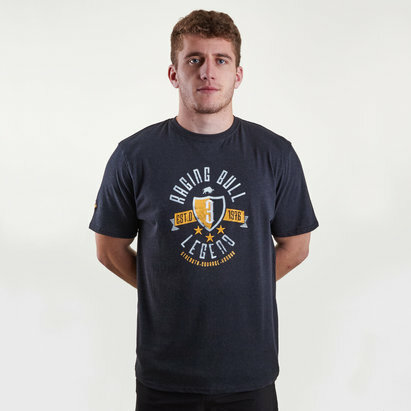 The 4-way construction used in this t-shirt allows for a better range of movement in all directions. The UA branding can be seen across the chest with a large logo.